When construction of your website is nearing completion, it's important to move onto the next step, that's adding the meta-tags. There are lots of methods Google will use to determine your page authority. It will weigh-up inbound links, outbound links, social media shares, content quality, site design, ease of use, etc. SEO matters insofar as other business entities will have search engine optimized pages. If you don’t, you’re already behind in the race. The meta keywords tag allows you to provide additional text for crawler-based search engines to index along with your body copy. How does this help you? Well, in the past these have been crucial, but Google is much more sophisticated in the methods it uses for determining how relevant you are, and keywords are diminishing in importance. The meta keywords tag is sometimes useful as a way to reinforce the terms you think a page is important for. For instance, if you had a page about stamp collecting -- AND you say the words stamp collecting at various places in your body copy -- then mentioning the words "stamp collecting" in the meta keywords tag MIGHT help boost your page a bit higher for those words. Google is learning how to understand natural language and is so good at doing this now that it can actually identify similar terms for search queries, which makes it less important to worry about small changes in the way that you word your content when you are targeting a specific keyword phrase. Some people argue that it is more important to think about the concepts that Google interprets, regardless of the actual words that are being used. While this may be somewhat true, keywords are still a very important concept of SEO and we will continue to add them. Start preparation of a list of words, you can type into a draft email message if you like, or make up a word text file to email as an attachment, typing like this: word, comma, space, word, comma, space, etc. (no returns). Please also include keyword phrases longer than three words, keeping in mind that what we're aiming at achieving is word matches with the line of text that a user might put into the search field of a search engine. Include all the obvious words, but we'd like to match with associated search enquiries also. For example, if you own a B&B establishment, you might consider adding words like chalets, retreats, resorts. Don't forget to include regional names, like geographe bay, dunsborough, margaret river, etc. An important tag is the <title>. This will appear in the reverse bar of a visitor's browser when they view the web page. For eg. within the title tag of this page that you are reading is this text: Planet Graphics | Website Design & Graphic Design Busselton | SEO - Meta Tags. The title tag is also used as the words to describe your page when someone adds it to their 'favourites' or 'bookmarks'. The title tag is an important one for search engines. They will use the text of your title tag for the title of your page in their listings. A good title tag will demonstrate what the google searcher can expect from the page before they actually click. In this way, they are a strong determiner of click-through rates. Think about the key terms you'd like your website to be found under, then incorporate those terms into your title in a short descriptive fashion. That text will be used as your title in crawler-based search engines, as well as the title in bookmarks and in browser reverse bars. The meta description tag allows you to influence the description of your page in the search engine listings. This description is displayed under the 'title' in the results list. Not every search engine uses the description tag entirely and instead may automatically generate its own description. Some of the description displayed in the results list may be sourced from the body copy of the page itself. An easy way to create your description is to take the first sentence or two of body copy from your webpage and use that for the meta description content. Open-Graph Tags are essentially a system that shuttles packets of information about a website’s title, description and preferred image to social media sites (Facebook, Twitter etc). A degree of control is possible over how information travels from your website to Facebook when a page is shared (or liked, etc.). In order to make this possible, information is sent via Open Graph meta tags that are added to the website’s code. Adding Open Graph tags to your website won’t directly affect your SEO ranking in Google, but it will influence the performance of your links on social media, so that means it’s worth looking into. If you are running a Facebook business Page, we would suggest adding OG Tags as they're important meta tags for better sharing. When creating your website, we will include our standard Search Engine Optimisation strategies that we believe will help performance of your website in Google. However, it's worth remembering that SEO is always changing, Google is always developing new methods and abilities, and we are not experts in SEO. 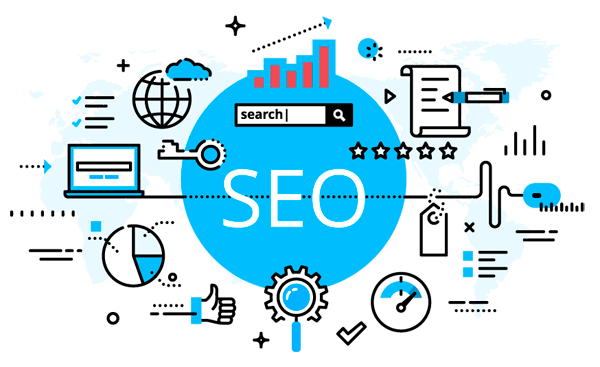 We will make your site ready for Google, however if you think you'll need more in-depth services, you should research SEO strategies to inform yourself on current methods and services available from SEO companies. Google expressly warns against making guarantees and states that 'No-one can guarantee a #1 ranking on Google'... therefore we urge caution, there are thousands of articles to read and many companies making claims. Disclaimer: We do not make any claims with regards to expectations of results of any kind post publishing of your website. All advices given are general suggestions and should be used as a guide only. You should make up your own mind as to its relevance to your business. You should consult a lawyer if you would like to know about your legal responsibilities and obligations with respect to the content of your website.